The other day at the swanky launch party of a new serum, I was chatting with a make-up artist who lamented the impending doom of beauty brands. Because science and technology is developing so quickly, he says in between slurps of canapés. As precision medicine – where healthcare, treatment, and medicine is customised to the patient based on his or her genome – is (very) slowly but surely becoming mainstream, there may soon be a day when beauty cocktails would go the same way. “Before you know it, anyone can get their DNA sequenced and have skincare potions and make-up tailor-made for their skin type, colour, texture and genes,” he rattles on. He painted a futuristic picture where a woman just has to slink up to a beauty counter, gets her DNA analysed, and then presented with creams, serums, and compacts concocted for her skin’s needs based on her genetics. It was an interesting thought. For sure, customised skincare is gaining popularity. In this age of Instagram, blogs, Snapchat, and YouTube videos for anyone to broadcast how they live their lives, consumers feel entitled to being unique and deserving of customised beauty solutions. That is one reason Skin Inc is doing exceptionally well. Labels such as Ioma and Codage from Paris, and now, Kiehls’ also offer their customers the option of made-to-measure options. Clarins recently launched its skincare Boosters to be added in any beauty product; while Cover FX Custom Drops lets one blend their own makeup in the palm of their hands. And of course, Prescriptives was way ahead of its time in offering custom-blended base make-up made for different skin tones in the late 1970s. Today, it still has a “Beauty Print” service that lets one choose everything from the level of coverage, texture, finish and even skincare ingredients. 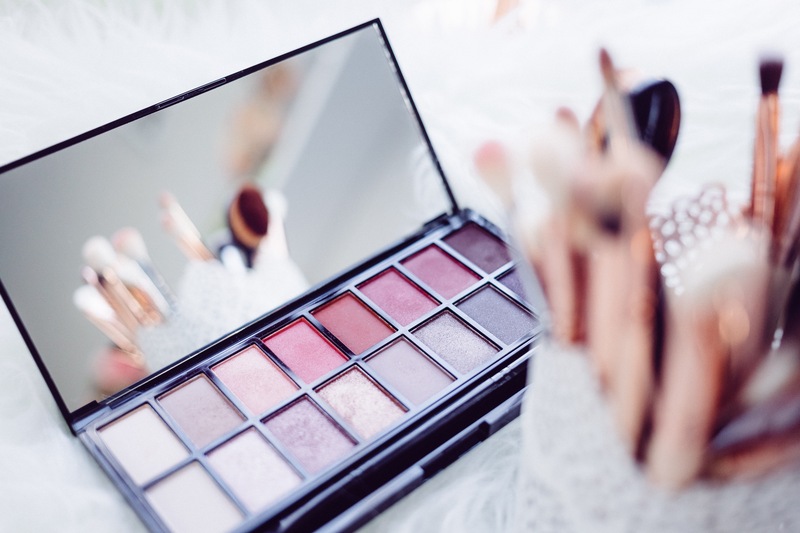 Increasingly, brands from Nars to Urban Decay and Shu Uemura also allow for customised shadow and contour palettes (although not customised formulas). All these point toward the fact that brands can thrive as long as they offer consumers a deeper level of control over the kind of products they put on their faces; it keeps the brand fresh but intimate. But I am not so sure if one brand can dominate all, even if it can offer an in-depth analysis of the beauty genes. A successful bespoke skincare label will have to be really good with its concoctions too. Because not all colour pigments and skincare ingredients are made equal. Especially when they have to be mixed in different proportions and turned around quickly for impatient want-now-need-now customers. An exceptional, effective formula, even if generic, will still trump. That said, in the future, the beauty brand which knows its consumers inside out will have that extra edge. In this age of data science, where rich sources of information with fine details is literally available at brands’ fingertips; the ones who know best how to make use of Google searches, Facebook Likes and Instagram #hashtags are set to win. I would not be surprised if one day beauty brands start tagging their products with little micro-sensors, so that they would know exactly when consumers use the formulas, and how often to better understand their habits and needs. Already, I think the L’Oreal’s Smart Brush is a sign of things to come. It offers haircare product recommendations based on one’s hair condition sensed by the electronic bristles. And I bet Dyson, maker of the coolest hairdryer, will come close with another Internet-of-things gadget. Now, I just can’t wait for the day when I can own a literal DIY beauty blender (not that make-up sponge) machine which will whip up daily skincare and makeup cocktails right in my boudoir, based on what’s trending; and what the sensor on my phone tells me my skin needs. And just before I run out of my stash, I’ll get a new batch delivered to my door, along with the latest encapsulated essences that block the expression of ageing genes in my body; because my beauty blender machine would be smart enough to predict my needs. Welcome to the future of beauty. P.S: A friend who is a veteran in the beauty industry, pointed out that the high cost would make it almost impossible for a genetic skin analysis and truly customised formula to be part of a viable beauty business model. This may be true, as the current sky-high prices of precision medicine is still inacessible to many.